Hey there! 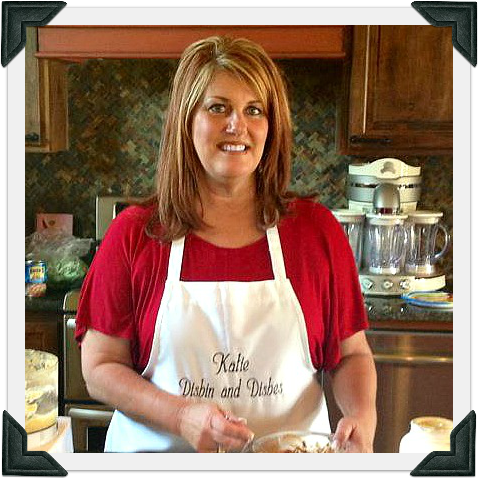 I’m Katie and I’m glad you came to “dish” with me! My kitchen is the hub of our family world and centers around incredibly home-cooked food dishes and “dishin” or the act of conversing whilst stuffing our faces. You might find me covered in flour, but you’ll pretty much always find me happy. Also, if you’re in the Oklahoma City area, please join me on Wednesdays as I do a cooking/restaurant segment on KAUT43 on Rise & Shine Oklahoma morning news show (You can also watch me on it online on freedom43tv.com every Wednesday at 7 a.m. Central Time! My past videos are posted on the top taskbar under Rise & Shine! Come join my crazy world…with some darn good food.